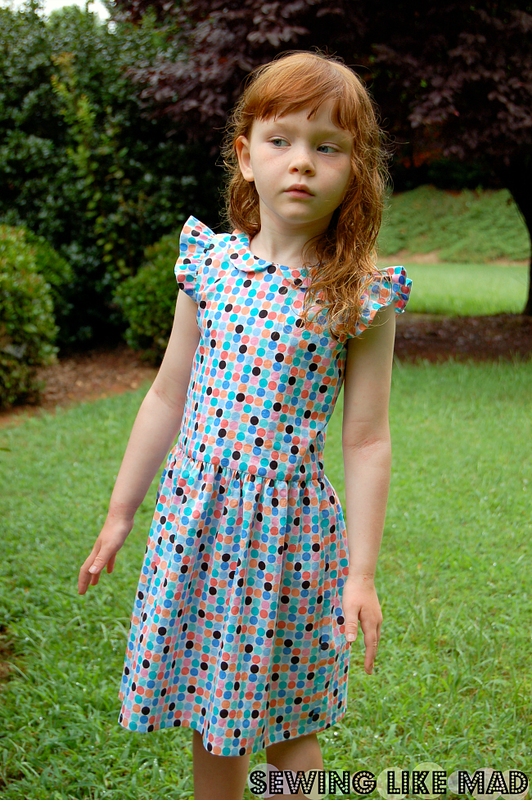 Sewing Like Mad: Pattern testing: Straight Grain's Hanami top/dress. Pattern testing: Straight Grain's Hanami top/dress. After my Flip This Pattern-post on Frances Suzanne I think anyone who reads this blog knows that I am a big fan of An's (from Straight Grain) work. And I felt lucky when I was chosen amongst the undoubtedly many applications to be a pattern tester for her newest top and dress pattern Hanami. Being a tester for An is not a lot of work because she knows what she is doing and have done most of the work for you. So basically what you have to do it choose between her myriads of great options that her patterns come with like dress or top, flutter or tulip sleeve invisible zipper or a fancy crossed back and Peter Pan collar or no collar. AND she was even letting us choose our own combinations - to actually have free choice as a pattern tester is quite a luxury. I hope she got all options tested! So what did I choose? Dress with flutter sleeves and invisible zip. The zipper is necessary if you want the Peter Pan collar - and of course do I want that, right! I love that it is so narrow. Well, I kind of love everything about this dress. So flippin' cute, seriously! Simple and easy to sew but with enough well made details for it not to look simple. And I thiiiink W likes it too. Ha, look at that big smile. You can buy your own copy of the pattern HERE. I love it! Great fabric! It's adorable! I love the polka dot fabric so much. Love!! That fabric was a perfect choice! I love it too! Such beautiful fabric and it fits your girl so well! Wauw... this is gorgeous! Love the fabric and the dress looks great on her! Very nice, it fits her perfectly indeed! I love your Hanami dress, Mie! The colors look so great on Wilma, and as always, your sewing looks impeccable. Thank you so much for all your advice and support - you're a top tester! It is a very pretty dress and your daughter looks so adorable. This is perfect, Mie! 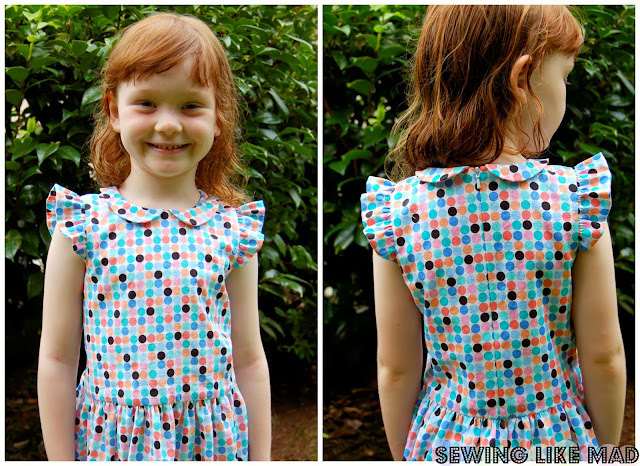 I love your choice of combination to make this dress: pp collar, flutter sleeves and invisible zipper. It creates a simple yet beautiful dress!